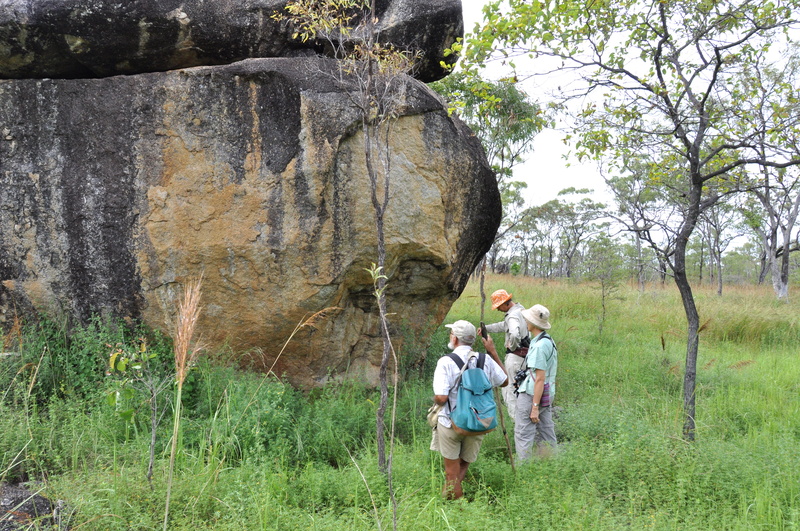 As well as enjoying a pleasant walk together Rupert wanted to show us some particularly attractive native grasses that he had found there and had identified. 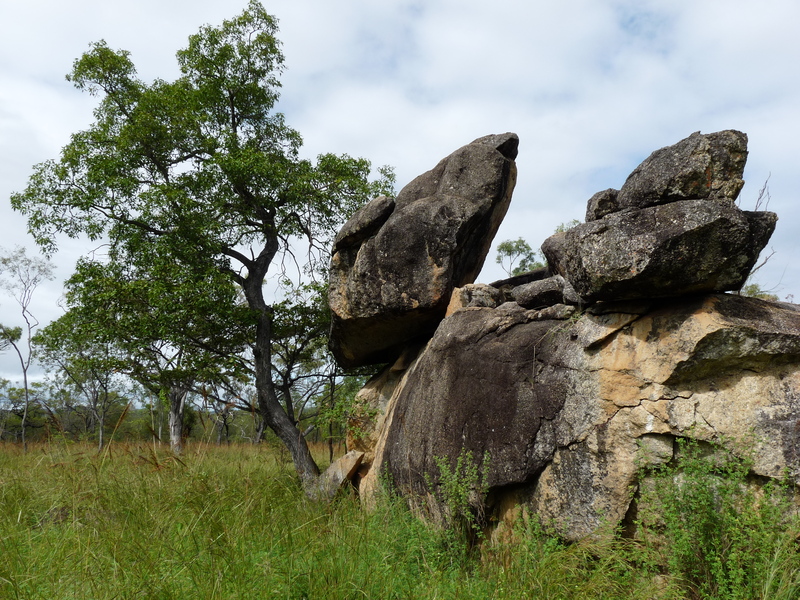 Dingo Hill is really a rocky outcrop consisting of some very large boulders some of which have been used for rock art. 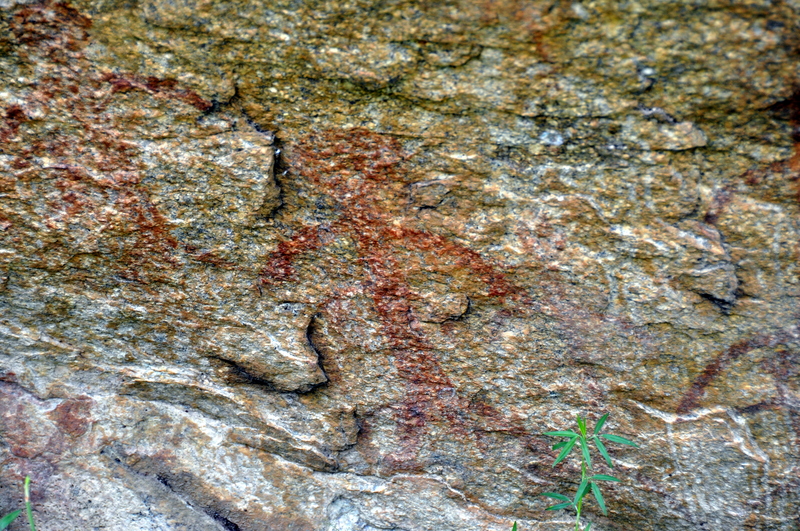 Looking at the faded drawings prompted us all to consider the early inhabitants of this land and what a good place it must have been for them with the McLeod river not far away and plenty of tucker to hunt and gather. Rock Wallabys still hide amongst the rocks and Rupert has previously come across some Wallaroos when quietly poking about on his own. 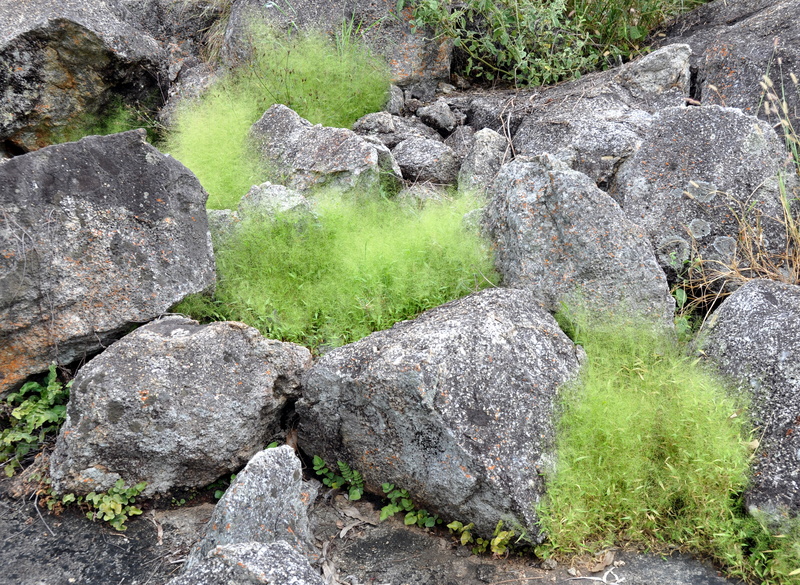 The photo above is a wonderful example of natural landscaping – 3 species of grass nestled between the rocks with Annual Pigeon grass (Setaria surgens) in the foreground. 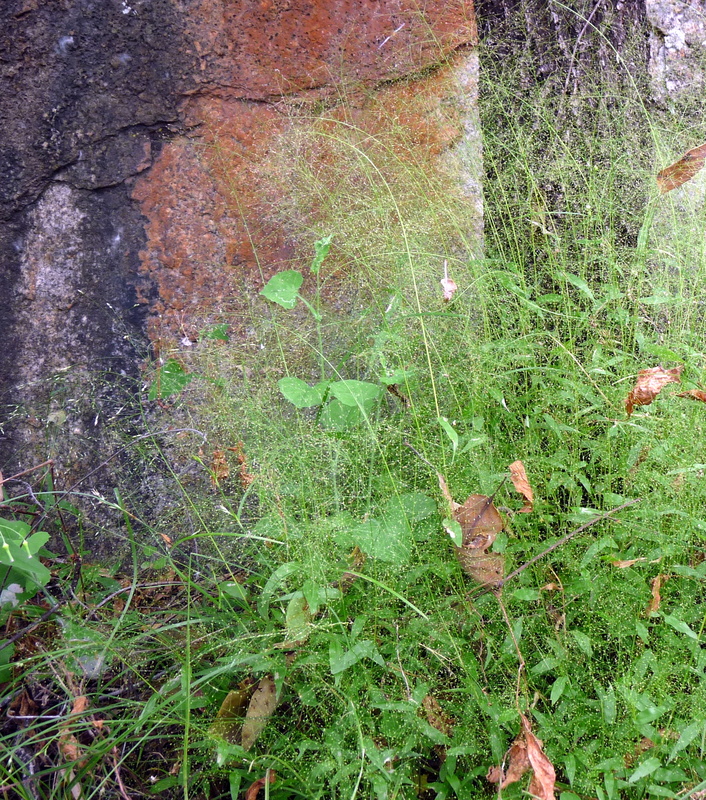 These little fluffy patches of green are Panicum trichoides – the inflorescence is so fine it is like a misty cloud. This close-up of another clump gives you more of an idea. And finally the grass Rupert is hoping we might be able to grow, Scrub Pigeon Grass (Setaria australiensis) which we think is most attractive and should provide food for seed eating creatures. The close-up photo includes an unidentified spider. 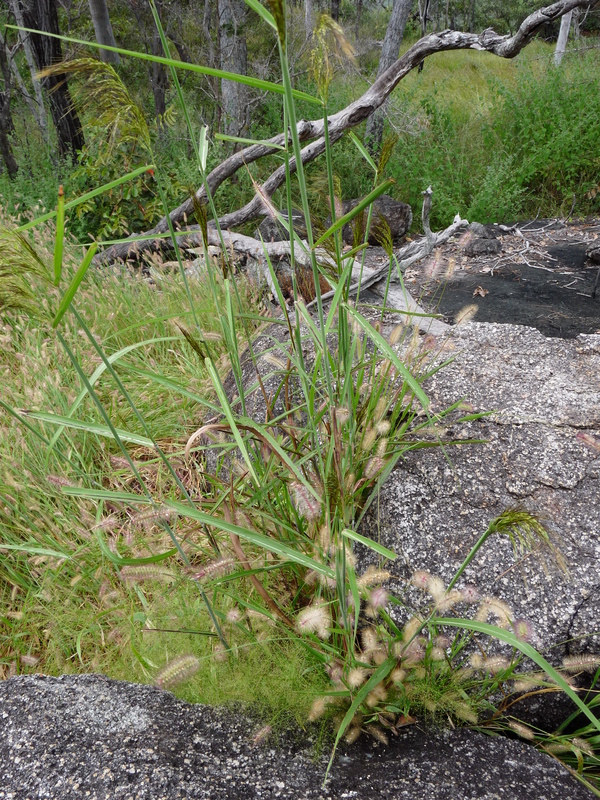 This entry was posted in Day excursions, Dingo Hill and tagged Panicum trichoides, Setaria australiensis, Setaria surgens. Bookmark the permalink. Aw, you didn’t include the photo of the butterfly on your nose! I liked that one. Lovely shot of the grass. Its a wonderful natural landscape – fantastic shapes to catch the photographer’s eye but I had to be careful I didn’t get too far behind. Really rocky ground with many rocks hidden in grass (and weeds) so we used our sticks to help with balance. Lovely textures in all those grasses. I can imagine them in my garden! But would I need the creatures that eat them to keep them in control? They are wonderful textures aren’t they Mick – how about a few boulders to go with them?! These grasses didn’t appear to be invasive and they do make a wonderful contrast in the garden as well as providing some food for the seed lovers…..finding a reliable source of seed/plant can often be a challenge. 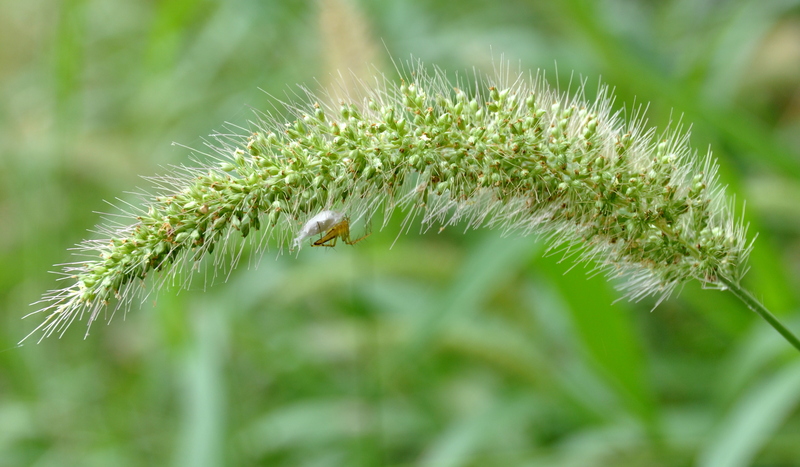 We have such a wonderful array of attractive native grasses and yet ‘landscapers’ frequently introduce exotic grasses which often become invasive. I would not use the common name, love grass. 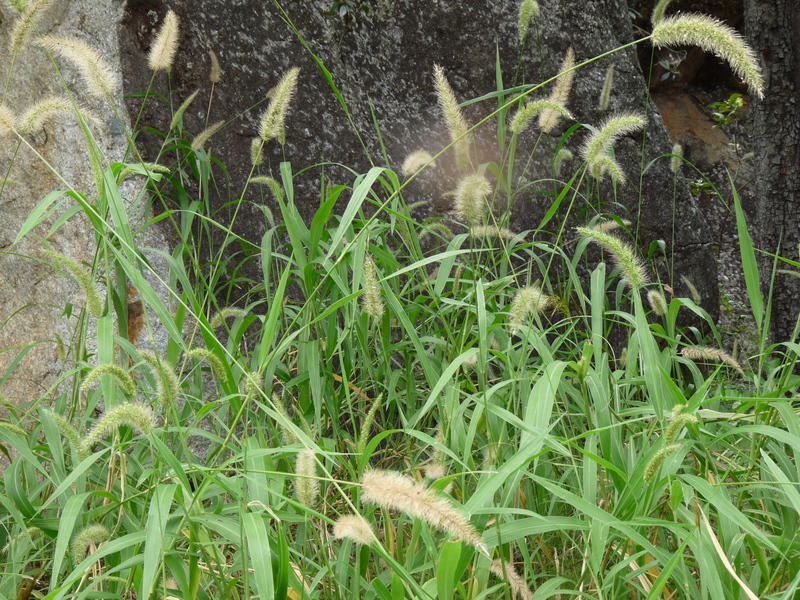 This is mostly used for species of Eragrostis and, even though there are some lovely native species, many people will associate love grass with African Love Grass, Eragrostis curvula. It is a huge problem. Thanks for your comment Wendy. Obviously I didn’t research well enough before writing the blog. Just repeating information that was given to me on the day but I see now that Scrub Pigeon Grass is the common name given by SGAP Townsville. Although we did manage to grow some of this pretty grass I think it might just be a bit too wet here as it didn’t self seed. I have now edited this post. Sometimes not raining is certainly exciting, especially when you are trying to get out and about looking at things. Looking fairly sunny here in Cairns today for a nice change.